You don't know Evernote unless you know Note Links. Sure, Evernote's unbeatable for collecting everything from business cards to billing statements, but without a plan for organizing these items, the note-taking tool quickly becomes a junk drawer. Note Links, available in the desktop version of Evernote, is a powerful way to impose structure on your unruly data dump. This function lets you hyperlink notes to each other so you can create relationships between them and link to notes from external applications for easy reference. Right-click on a note to create a Note Link. To create a note link, just right click a note and select Copy Note Link from the menu, then paste the link into whatever document you want to pair with that note. Here are five ways to use this often-overlooked feature. One of the easiest ways to use note links is to organize a selection of notes by creating a table of contents. Just create a new note, paste links for each note you want to include, and reorder them to your liking. If you’re planning an event, for example, a table of contents can help you tie together your vendor and attendee lists, schedules, bills, and other essential documents from one note. A table of contents is also an easy way to structure and navigate notebooks, particularly if you’re sharing one with multiple collaborators. If you use Evernote Presentation Mode, you can add links to your notes and other research material right to your presentation slides. Then create a table of contents by creating an introductory note and adding links to each presentation note. Note links are great for adding supplementary information to calendar items. For example, add a link to your agenda for your monthly department meeting right in the calendar entry or meeting invite. If you save invoices or other billing statements in Evernote, add note links to them to the due dates in your calendar so you can get to them quickly when it's time to make the payment. Blaze through your to-do list by linking each to-do to the documents and information you need to complete it. Need to reply to your colleague about that project you’re collaborating on? Link that to-do to the saved email correspondence in Evernote. Time to get start writing that article you’ve been procrastinating about? Link that to-do to your research notes. Alternately, you can add note links to each to-do item to your calendar to help you keep on top of deadlines. 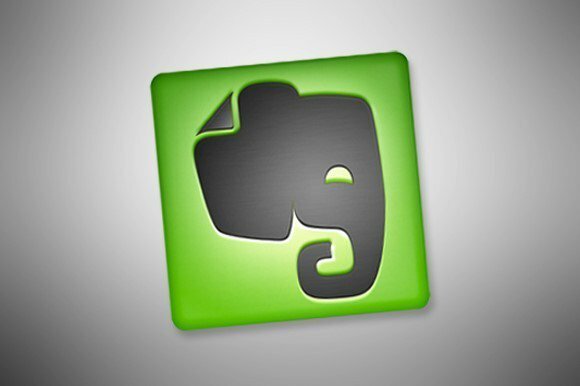 Most Evernote users have a collection of notes they reference over and over: instructions for logging into the company HR portal, articles and images they’ve saved, pieces of data they’ve collected from the web for an ongoing report. You can use note links to compile all these favorites into a single note for express access whenever you need it. Do you have a favorite way to use Note Links we haven't mentioned? Share it in the comments.